I’m not gonna lie, there were some tough moments. By the third day I was really, really regretting my lack of foresight to stock up on a few bottles of wine, and about halfway through the month I think I would have traded both my children for just one double -tall-one-and-a-half-pump-cinnamon-dolce-lattes. But guess what? At the end of the month we had saved over $1,000, tackled some very hard money discussions that we had previously avoided, cleared out much of the long-forgotten food in our freezer & pantry, and ultimately realize that we need so much less than what we have. I wish I could say we didn’t fight about money that whole time, but in a strange twist, we actually had a doozy of a fight when Husband wanted spend a few dollars on something and I said no, that it wasn’t “essential.” (Let me tell you, having had ALL our previous money fights originate from MY spending habits, it was practically like the Twilight Zone to have it go the other way.) But we lived! So would I do it again? In a heartbeat! I am ready to start all over again, this month, with YOU. To be perfectly honest, I am far more concerned about committing to writing a blog post a day for 31 days then I am to committing to another month of no spending. But this month is not just about spending ZERO, although that will be our main goal. It will also be about living WELL while we do it. It will be about finding out just how much we already have and how little more we really need. And hopefully, by the end of them month, my definition of “living well” will also be yours: A life rich with faith, family, friends, & creativity, secure in the idea that a life well lived has nothing to do with what we have but who we are. I thought it would be fun to put together some printables for this challenge to help you complete the challenges & track your progress. Not every day will have one, but some days will and as you print them out you can put them in a folder or binder and create your own (cute) 31 day notebook. 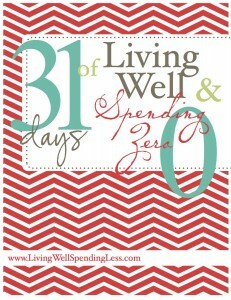 If there is anything I love more than a 31 day challenge, it is a cute notebook to go with it! So let’s get started, shall we? Today your task is pretty simple. First, you have to COMMIT! You can’t approach this half-heartedly or you will fail. If you are married you will also need to get your spouse on board–you will need each other! Once you’ve signed it, snap a picture and tweet it with the hashtag #31DaysLWSZ . Next, you will also have to set some ground rules for your challenge. Our ground rules last month were very basic: no spending on anything that wasn’t absolutely essential. For us that meant paying only our regular bills, as well as giving to the church, buying one birthday gift, and purchasing a handful of other “essentials” (such as seeds for our garden, a needed part to fix the car, etc.) The only food items we allowed ourselves to buy during the month were milk, bread, eggs, & cheese. The rest of our food we ate all month came from our pantry and freezer, using what we had on hand. Your rules should account for your own circumstances. If you have a birthday or event or vacation already on the schedule, just account for it in your plan and move on. If you do not have a huge stockpile of food stored up, eating only from your pantry & freezer probably won’t work, so you will have to include limited food purchases in your rules. This month, with our freezer and pantry already depleted, we will most likely run out of food. However, our plan is still to use what we have before we buy more. Resist the temptation to make too many exceptions ahead of time. The point is to stop spending! So who’s ready to take on this challenge? What are your fears or concerns? What are you most excited about? Do you have any questions? Let’s do this! The closer it got to the end of the month, the more nervous I got! But now that it is finally here, I am excited. We have gotten very careless with our spending lately and I am ready to get back on track. Thank you so much for doing this! You’re welcome Denise! I promise it won’t be too painful. 🙂 Glad to have you on board! I don’t know exactly why I find this so scary but I do. I know we need it though, and my husband is excited so we are going to give it a try. Thanks Ruth! While *I* may be committed to seeing just what we’re capable of doing re: not spending, I’m having a hard time getting my husband “on board”. And you know that you can’t attempt something this life-changing if only HALF of you is fully committed. What can I do/suggest to get him to try something like this? That is tough Jessi! Is there something in particular he is worried about cutting out of your expenses? I would suggest maybe just printing out the ground rules worksheet and showing him that you guys can still account for certain things. Maybe you could explain that you feel it is really important to your family and to you, and offer to give him a small amount of “pocket money” that would be just for him. Good luck. Let us know how it goes! I’m looking forward to following you this month. We usually do our no spend month in February – this upcoming one will be our fifth year. I would like to add another month since the family is finally on board for Feb. So I hope to add another month in 2013. Wow Debra, it sounds like you are a PRO! I hope you will share a lot of your tips and tricks with us along the way. 🙂 Thanks for joining in! Debra, this seems like a great idea, to plan a month one month a year. I love this! I could use a kick in the pants when it comes to overspending! I’m not sure I’m ready but I’m going to try! They won’t. 🙂 Glad to have you join us Keirra! I am not an overspender, but husband sure is when it come to lunches. He buys lunch out every work day and often stops at a gas station for a drink and some chips. We’ve had “the talk” about this and while it seems he is on board for a few days, he quickly goes back to his old ways. It’s not horrible though and I have to say that once (long before kids) I dropped $50 plus at Starbuck’s each week…. This is going to be a fun challenge and definitely worth the work!!! Thanks, Ruth!!!! You’re welcome! I’m excited to hear how it goes for you guys! Glad to have you join in the fun! So I’d suggest talking about him either having an allowance that is his to manage or a completely separate bank account. The key is not to be too generous with the money. As a Financial Peace University graduate, I love all things Dave Ramsey and let’s face it I’ve been on a spending spree lately and it’s time to pay the piper! I was just thinking of freezing my spending this morning and then remembered I have kids on fall break for 3 out of the 4 weeks this month. Hmmm??? That’s my hesitation, I have some fun things planned and they cost money, plus it’s my bday month. 🙂 I’ll have to think on it, because I know we need it badly. BTW, pop over and give Ruthanne some comment love on today’s MMM post. I have a hard time understanding why someone who subscribes to “Living Well, Spending Less,” especially the head “saver,” would need to give up “Starbucks.” Spending less and including Starbucks as an expense is an oxymoron to say the least. Their coffee is more expensive than any others and it doesn’t even taste any better than others. That’s not something I could drop from my list of expenses, because I refuse to pay for it at any time. Everyone has their “vice”. 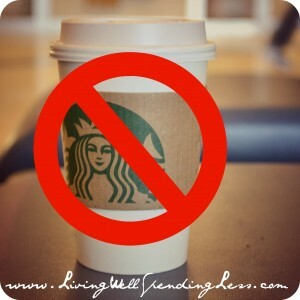 Some people like Starbucks over other coffee shops or vice versa. To each his own, but do undertand that some people actually budget for a “coffee treat”. I buy the bagged Starbucks coffee- mainly when on sale, paired with a coupon, and gift card. Then I take my empty bag in to my local Starbucks and get a free tall drip coffee. A definite treat for me. Let’s not judge. I did a spending freeze last year and it was FABULOUS! So empowering to have the ability to just say no to buying the inessentials! I’m in. going to go over my rules for the month right now! Woot woot….glad to have you Brandi! I’m in, Ruth. As a single retiree, I need to learn to cut down on the shopping. Have a pantry full and freezer full of food that needs eating before I add a single thing AND I’ve already been working on it for a month. It’ll take some time, but my budget will love it! Wow, this is awesome (but scary). However, if you could do it last month, then we can do it together this month. I can’t wait to push myself and see how creative I can get with the stuff in my cupboards. Besides, any reason to start a cute binder is awesome!! This sounds amazing! It would be hard to do this month since I start Christmas shopping in October. I want to do this, but the idea of being cut off what I want to do is scary. Before you did this for the first time, did you stock up on some things? Anything? I know you said you wish you had on some other things… Part of me wants to stockpile before I start, but I’m not sure that’s the point. Great ideas! hmmm…I need to think about whether I am ready for this challenge.. This is perfect timing. 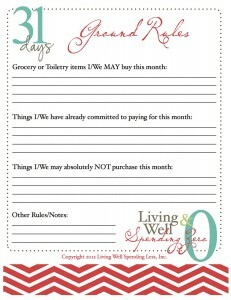 My husband and I decided we would make October “no spend month” in our household even before I stumbled on your blog. So I will be following along! Problem is, i actually failed already today on Day 1, totally by accident. So I am just going to tack on another day. I found you via The Nester. I’ve already committed to a no-spend on the house over the next month, so I’m going to try it for the other categories too. Not sure I’m organized enough for groceries, but I think if I only buy perishables I could do it. Thanks for the challenge, and the fun printables! Boy, how I wish I could commit to a month of no spending. (Except bills of course). Honestly, I just don’t think I could do it. Maybe one day, because I would LOVE to see how much we save! ok I am in!!! I have a blog so I will be keeping my progress on blog too. this is a great idea! wow, in October? I’m gearing up for Christmas! I’m going to watch and see how you all do, and then go ahead and try this out in January. Ruth, you’re a woman after my own heart 🙂 An Australian charity is doing ‘Buy Nothing New Month’ for October, and I’m doing that along with my 31 Days series. Buying nothing new isn’t hard for me. Buying non-essentials is a harder challenge – especialy when it comes to coffee – and one I’m embracing this month (I’ve already failed on several occasions!!). Makes it interesting when I’m in the process of renovating my house!! no where’s near ready for a challenge like this (cin dolce is my fav, too-but i went to dbl nonfat latte w whip to save calories and decrease sugar). love your definition of living well, too. perfect. Fantastic challenge! 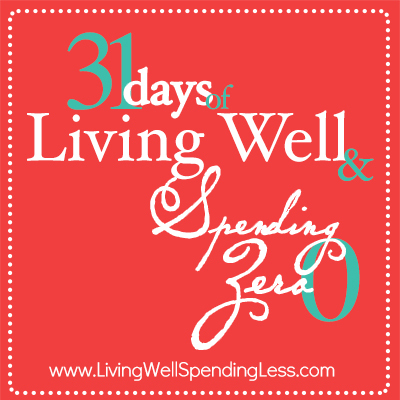 Saw you on Frugal girl the a.m. Now getting caught up reading your 31days project…I’m doing one myself. Cheers! I hope you don’t mind but I mentioned it in my blog post from today and linked it back to your website of course. Totally fit with something that happened this weekend that I was writing about and then I saw your quote today and thought-wow, she totally gets it! Starting today! We just got married and are learning to balance our finances, at a rapid rate! I also printed your budget sheet, and some coupon-ing tips and tricks! This is my favorite blog find yet, thanks for all the great advice! I feel like to do this type of thing it would take a lot of preparation and saving up to go on the “big shopping trip.” I do know that for two weeks we’re able to live off of our pantry and can get by with only getting essentials (like formula and diapers and purified nursery water). We tried buying stuff for a month’s time and didn’t really plan out anything (I told the hubby about the idea and he went on a spree when I sent him to the store…). Still left us near penniless at the end of the month. So I feel like its something to plan for. Are you planning another no-spend month this year? I love the idea, but think I need the support of like minded folks. Let me know and I’ll be in! 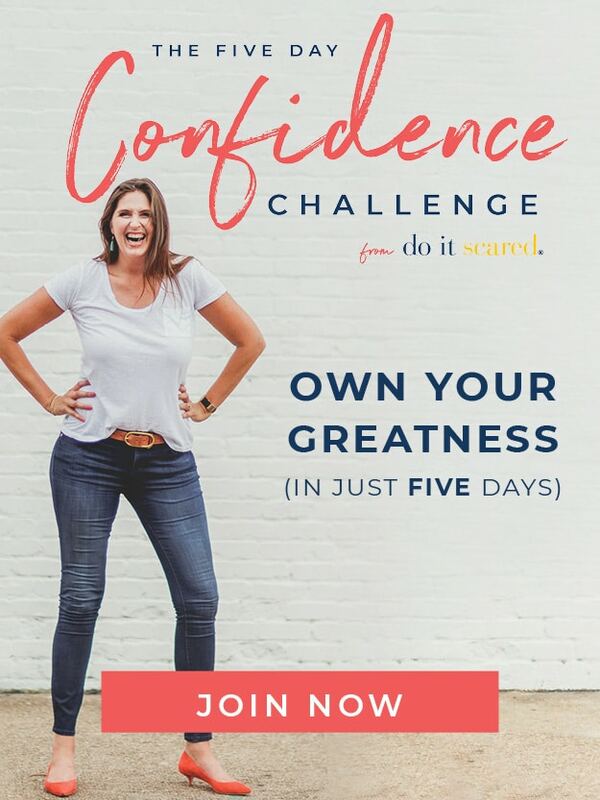 starting your challenge today….the toughest part is getting my husband on board……he is the one that makes the money & just gives me a set amount each time he gets paid for groceries, gifts, etc. Tomorrow’s my 55th birthday. I’m in more debt than many small countries (thank you x- and divorcing) and am a waitress. I feel like I’m down to bare bones already, but feel like there’s more I could do. I think writing down every penny I spend might make me feel more in control. I already record to the PENNY what I make, so why not compliment that. What better month to start than the advent of a new year of life? Well hubs and I discussed it yesterday and have decided to try this using your blog as our guideline. We have a birthday (my son) this month but we’ve already bought his gift and have the very small party planned (going to a local farm). But the money was set aside for that already as well. We have a close to negative budget as it is so over spending on large items has not been an issue, its the little things ( craft stuff for the kids, the 30 millionth hammer for hubs, yet another bin to sort things into) that always get us. I’m going try try and pull my mother in law in on this as well since she tends to go a little crazy buying stuff for the kids and our new house (I appreciate all of it but its hurting her finances). Wish us luck!!! I’m jump starting to or rows task and doing my meal plan now! I love this! I’m late to discovering your blog, but my husband and I have done similar spending freezes over the past few months. We are tackling our student loans and were AMAZED at how much quicker we could pay on them once we cut out many non-essential items! Loving your blog and looking forward to reading a lot more! I just found this today. I am very motivated, now that I am not alone. I am starting tomorrow. Thank you for the inspiration!!!! Oh, this sounds super hard and really scary, but I am so game for this! My husband and I keep having more month than money and the kids are acting so entitled! I hate that! We are literally about to pull our hair out. Something drastic like this is EXACTLY what we need to start off the new year and set new habits. I am grateful there is a support group because oh baby am I going to need it!!!! This sounds so interesting, but the one thing I wonder about is nutritional value of meals without fresh fruits and veggies. Growing kids need nutrients and vitamins I won’t find in my pantry. Would you consider this an essential, or sacrifice whole foods for the month? I would consider for our family fruit and veggies essential. Perishables would defeat the purpose of the challenge. I agree though. Nutrition is key! The Facebook groups are closed groups? How do you join a closed group? When you click the link to visit the group, you can request to join. Then my team will make sure to add you before the challenge starts! is it too late since it’s the 3rd of January? You only allowed yourself to purchase milk, bread, eggs, & cheese? What about fresh fruit, vegetables & meat? We buy local fresh items every week, just enough for what we need, so don’t have a stock pile. Our veggie garden only provides a supplement to our meals, we currently have quite a bit of fruit on the trees. We might have one or two individual serves of meat in the freezer, if one of the kids unexpectantly misses a home meal. Are you advocating eating package food for a whole month? We probably manage that for more than a week or two only have enough Asian noodles for 3 meals, pasta for 2, 2 packets of cous cous, rice & one can each of chick peas, lentils, tomatoes & corn. And we’d be out of breakfast cereal by Monday. Maybe this challenge isn’t suitable for us. We also buy produce when we do this challenge! 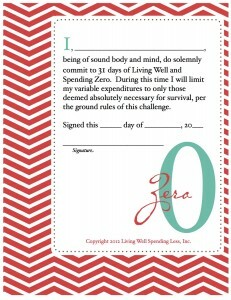 The main point of the challenge is to spend zero on non-essentials. Food is definitely essential! 🙂 It is great to try to use up what is in your pantry, but if you are not much of a stockpiler you will probably have to spend ore on food. You should of course customize it to fit your own family’s needs! The philosophy that I share all the time on this blog is simple: Any savings is better than none! I am thinking while looking at this, that since you have the printables for a notebook that this would be a good thing to incorporate into homeschool. We are winding down this year and getting ready for a mission trip in Ecuador, but I think this would be a great project to start my daughter’s 7th grade year in either August or September. Newer technologies and advanced tools have made it possible for cosmetic surgeons to carry out the highly delicate surgical procedures with more confidence and mitigated risk factors. This means that you can have layers of images one over the other, and each level can have its own set of rules and effects applied to it. are absolutely those which are destined to become a fashion designer. Starting this tomorrow! So excited to get my spending under control! any medical eventuality and repatriation. Self tanning by using cosmetic products is absolutely UV-free and does not cause any diseases. so it doesn’t totally eliminate from that unique event. nail polish remover. If you are fair, the strength should be either 8 or 9 percent. Bronze Effect: This product has a built in bronzer enhancement feature. 1,000! Holy buckets! We could cut down to just milk and eggs a month and still only save 200 more!! Plus my hubby won’t be happy if we cut out meat. We are always looking for ways to save more, we plan to buy a house ( Buy, as in pay for with cash) in 5 years. Rag money $20 each. To spend or save buy gifts what ever we want. What about daily fresh fruits and vegetables. Wow, I’m pleased to read the actual blog comments versus the facebook comments above – yikes! I find it interesting how many of the facebook commentors “already do this” – didn’t know so many people pay only their basic bills and not a dime more thru their whole lives. Anyhow, I could go on but I’d be as snide as those comments are so I better stop! I have done a variance of this twice and loved what it showed me about my spending habits and what I thought was “essential.” I also didn’t notice a significant grocery bill in the next month – I just had more space in my freezer and cupboard and added things back in the same way they got there – little by little. 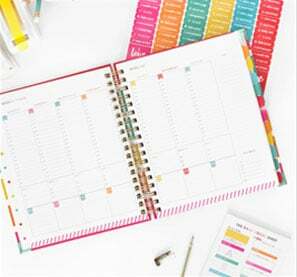 I called my times “Minimal Spending March and set myself a budget of $80 for the whole month – for food, gas, TP, – everything. (by the way, have never once thought of TP as “toiletries” – toiletries to me is shampoo, lotions, etc). If the way Ruth has described it doesn’t work exactly for you, keep the concept but tweak the particulars! Hi Ruth , I really want to do the 31 days of no spending but I am scratching my head thinking this is going to be impossible . I have 3 boys and we go through about 2 gallons of milk a week , my middle sons birthday is in October and Halloween as well . My boys are expecting costumes , I will be making the costumes but there are still some items I need to purchase in order of them to be complete . I so badly want to do this challenge , do you have any tips you can give me on how to be frugal in a month with a birthday and holiday . Thank you so much and hope to get some much needed advice . I* am starting this today. Excited and nervous at the same time, but it will be for the best I am sure. No question about it, I need this challenge. Emptying out our freezer is worth the month of austerity. Planning for mid month in January to Mid February. wish me luck.